One of the first mistakes most people make when responding to customer complaints is to get overly mired in determining right or wrong. Unfortunately, not everyone does, because a great many customer grievances are not so cut and dry. How do you address a customer’s ire over your late delivery of a project when he himself was late getting essential information to you? How do you explain to her that her abrasive behaviors have been upsetting your staff? Here’s the key: Don’t think in terms of right or wrong. 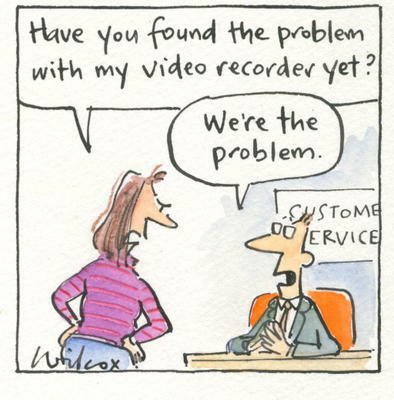 First, get inside the customer’s head to comprehend how they’re perceiving the problem. Usually you’ll find it has less to do with right or wrong, more to do with other issues that have cropped up to ruin their day—the customer may be feeling new stressors at work or need help doing some incidental face-saving. But don’t get into the trap of determining right or wrong: you’ll only earn your customer’s resentment. After all, who died and made you judge and jury? Take the time to fully understand how your customer’s experiencing the stated problem, and you’ll be more than halfway there to solving it. Along the way, you may also gain crucial insights on your customer’s work environment.